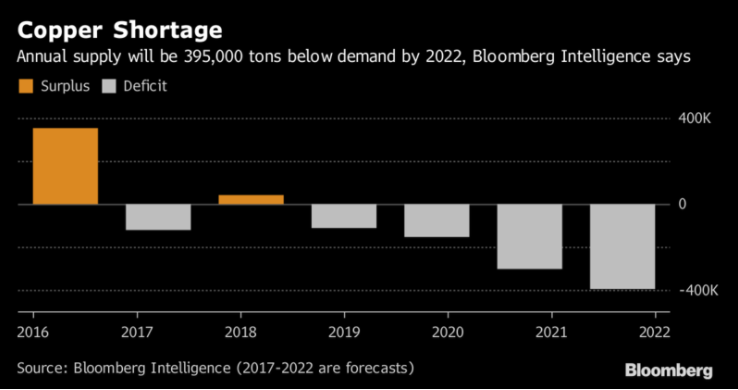 While there are potentially many ways to play an investment thesis around a looming copper shortage, the largest potential returns are likely to come from junior copper explorers set to become producers at a time when the copper price could be soaring from a globally undersupplied situation. 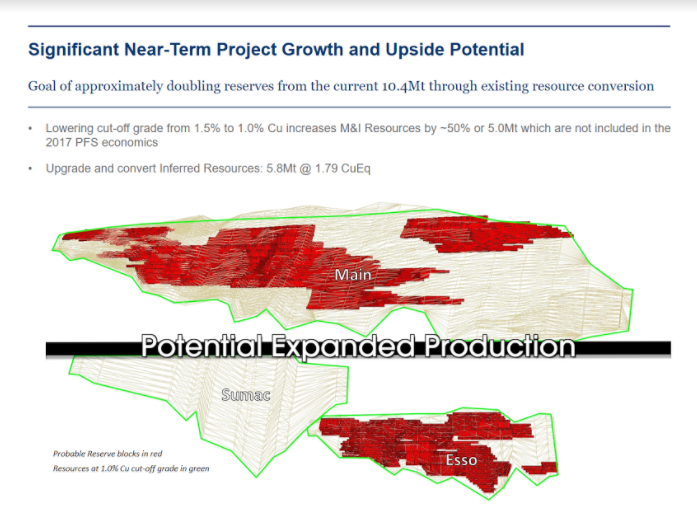 A company called Desert Star Resources (TSX-V: DSR, OTC: DSRRF) offers a particularly compelling investment proposition after completing a unique deal to acquire the Kutcho Project from Capstone Mining (TSX: CS) for C$29 million (upon closing the acquisition DSR will be called Kutcho Copper). It’s not every day that a junior exploration company with a less than C$10 million market cap is able to acquire a high-grade mine with a completed pre-feasibility study, mineral resource estimate, and preliminary economic assessment. Desert Star had a C$7.4 million market cap on the day the deal was announced, and managed to pull off one of the more significant project acquisitions of 2017 in the Canadian mining sector. 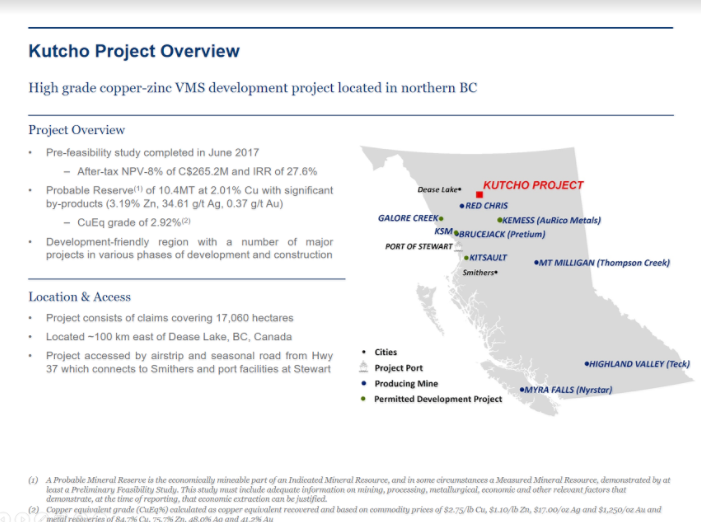 Under the leadership of CEO Vince Sorace DSR was able to pull off the deal by entering into a gold and silver streaming agreement with Wheaton Precious Metals (TSX: WPM, NYSE: WPM) for the gold and silver component of future Kutcho production (which consists of less than 10% of the revenue of the project). DSR raised C$43 million in total (C$29 million to consummate the purchase, the remainder going towards completing the feasibility study and permitting process), with C$33 million being provided by Wheaton, and the remainder raised in an equity offering at C$.65. This deal is unusual for Wheaton (the world’s largest precious metals streaming company) because Wheaton typically provides the metals producer with cash in return for a streaming contract imposed upon the asset. Wheaton rarely sponsors companies from an equity or debt perspective. The fact that Wheaton has stepped up and done this deal with Desert Star is a huge vote of confidence in the technical merits of the Kutcho Project. Increase reserves through existing resource conversion. 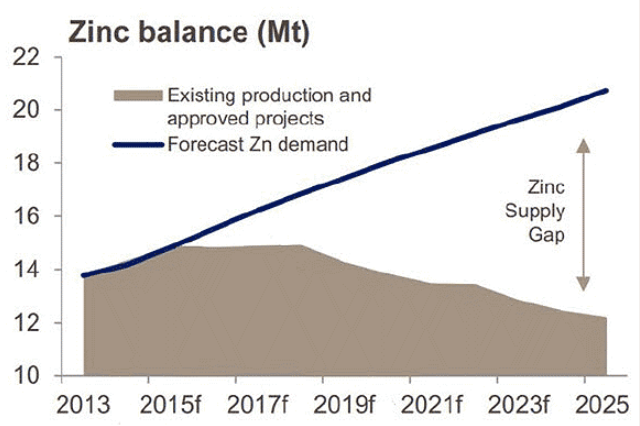 Significant upside to metals prices given that project economics are currently based on US$2.75 copper, US$1.10 zinc. 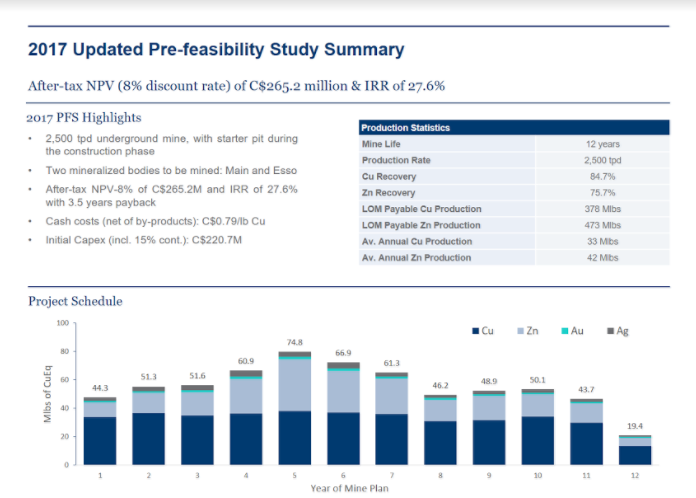 Mine plan optimization including potential increase in production capacity. 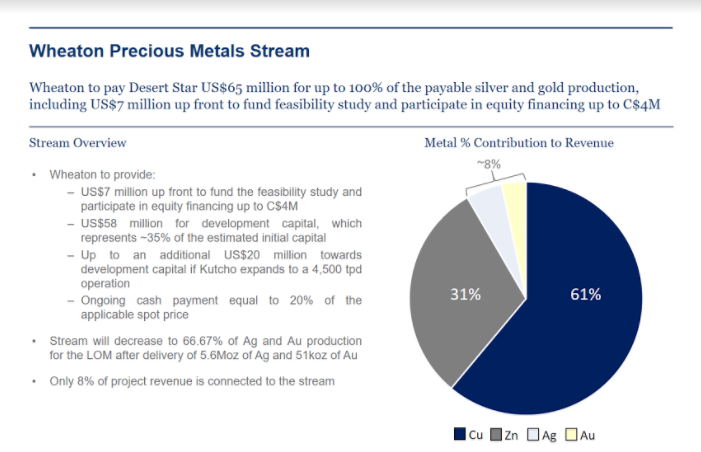 As Desert Star methodically advances Kutcho to production over the next several years, there is substantial room for an upward revaluation of DSR shares to more accurately reflect the project’s NPV in a robust environment for copper, zinc, and gold/silver prices. Upon closing of the transaction Desert Star will become Kutcho Copper with a new trading symbol on the TSX-V, KC (shares are expected to resume trading a couple of days after the acquisition closes). The article is for informational purposes only and is neither a solicitation for the purchase of securities nor an offer of securities. Readers of the article are expressly cautioned to seek the advice of a registered investment advisor and other professional advisors, as applicable, regarding the appropriateness of investing in any securities or any investment strategies, including those discussed above. Desert Star Resources Ltd. is a high-risk venture stock and not suitable for most investors. Consult Desert Star Resources Ltd’s SEDAR profile for important risk disclosures. 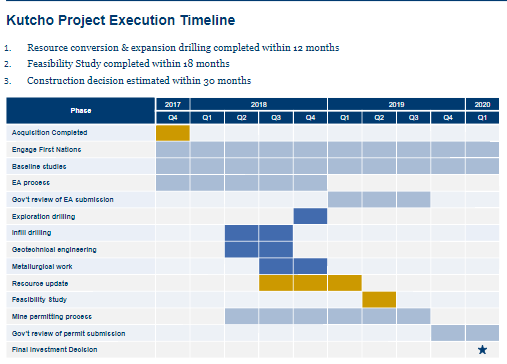 EnergyandGold has been compensated for marketing & promotional services by Desert Star Resources Ltd. so some of EnergyandGold.com’s coverage could be biased. EnergyandGold.com, EnergyandGold Publishing LTD, its writers and principals are not registered investment advisors and advice you to do your own due diligence with a licensed investment advisor prior to making any investment decisions.